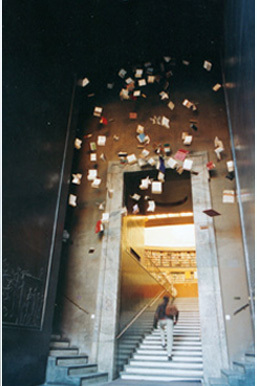 The State Library, Stockholm, 1998. European Culture City, Stockholm 98. Materials: Books and fishing line. Installation completed with drawings and sketches. Grants: State Library and COPCA. Opened by the President of Catalonia and representatives of several Swedish institutions. Covered by the Swedish press.